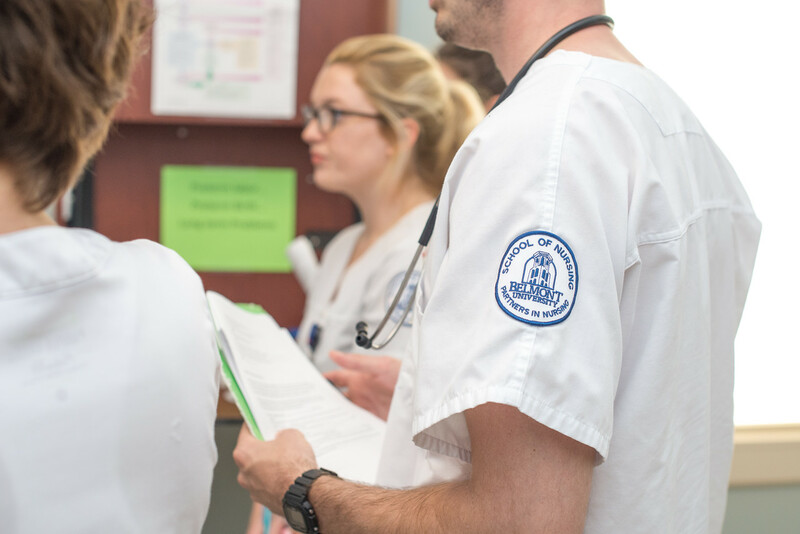 Belmont University’s graduate nursing programs were lauded today when U.S. News and World Report released its 2018 rankings of Best Graduate Schools, a tool to help prospective graduate students better understand the graduate school landscape and identify potential programs. Both the Master’s in Nursing (No. 157) and the University’s Doctor of Nursing Practice (No. 127) were included in this year’s rankings which surveyed 532 accredited nursing schools. Both the master’s and DNP rankings are based on a weighted average of 14 indicators. Seven ranking indicators are used in both the master’s and DNP ranking models. The seven common factors are the four research activity indicators, faculty credentials, the percentage of faculty members with important achievements and faculty participation in nursing practice. The other seven indicators in each ranking use measures that are specific to each degree type. Both rankings take into account the ratings of academic experts. Belmont graduate family nurse practitioners (FNPs) are prepared to practice in a variety of settings. Graduates are particularly skilled in measurement of patient and population outcomes, education of diverse populations, leadership in health policy development and implementation, translation of evidence into clinical practice and advocacy for quality care within complex health care delivery systems. This is directly reflected in Belmont’s consistent 100 percent national certification examination pass rate and robust, post-graduation job placements. Belmont’s other health science-focused programs were lauded among U.S. News 2017 rankings—the website doesn’t rank those programs on an annual basis. For 2017, Belmont’s pharmacy (No. 98), occupational therapy (No. 88) and physical therapy (No. 79) programs were all included in the national rankings of Best Graduate Schools.